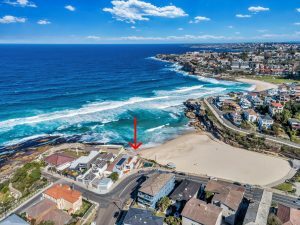 Located on Tamarama beach with no road between you and the beach. Only a short 800m walk to the world famous Bondi beach. Just a 20 minute drive (9km) from the Sydney CBD.